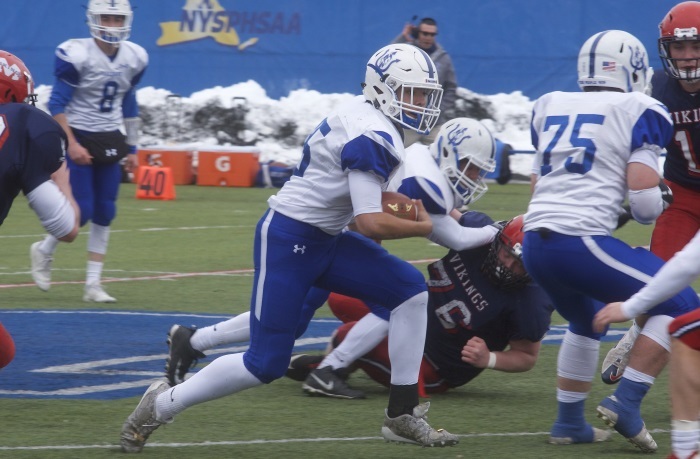 Despite playing most of the game on its own side of the field, the Haldane High School football team had a chance to win the Class D state semifinal game on Sunday (Nov. 18) versus Section 7 champ Moriah right up to its final possession. 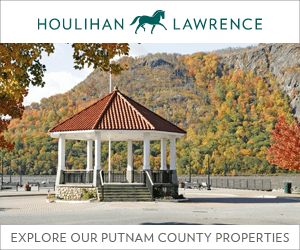 Instead, Moriah made the game’s only touchdown stand up, never letting Haldane get into an offensive rhythm — and forcing a turnover on the Blue Devils’ final possession — to preserve a 6-0 victory at Middletown High School. 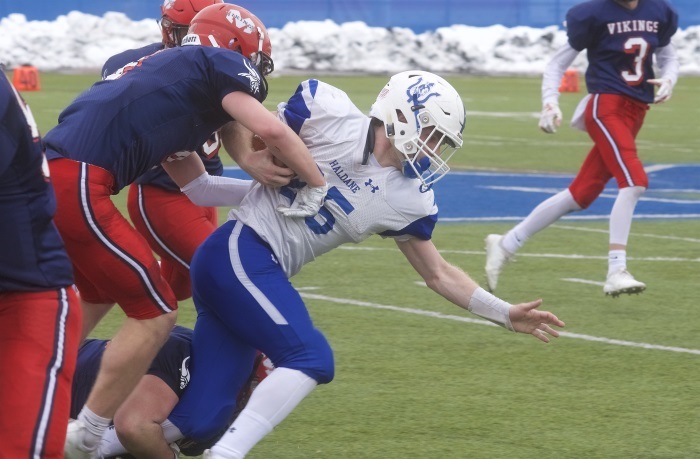 In the championship game on Friday, Nov. 23, Moriah lost, 26-6, at the Carrier Dome at Syracuse University to an undefeated Section 6 team made up of players from Clymer Central, Sherman and Panama high schools. 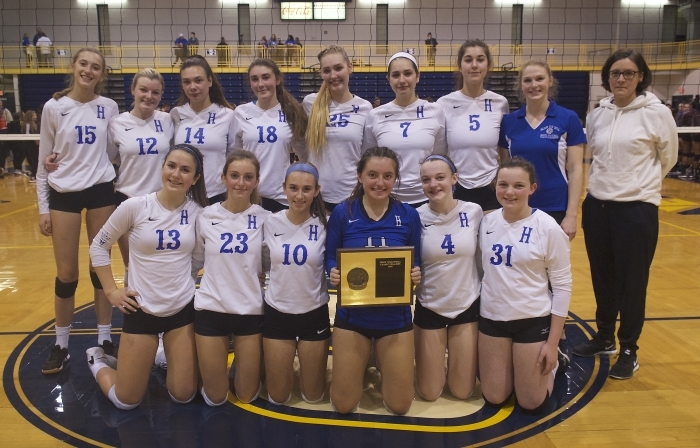 Haldane, which finished 7-2 for the season and ranked No. 9 in the state in Class D, repeatedly found itself with bad field position in the semifinal, which was scheduled for Friday but delayed due to poor weather. 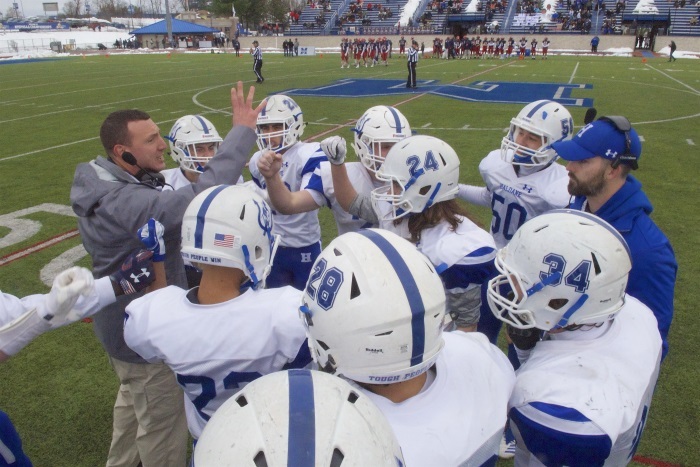 The Blue Devil defense came up big, time after time, denying the Vikings on downs in the red zone on more than one occasion. Sam Giachinta forced a fumble and recovered on the Haldane five to end one third-quarter threat. But Moriah kept the pressure on. 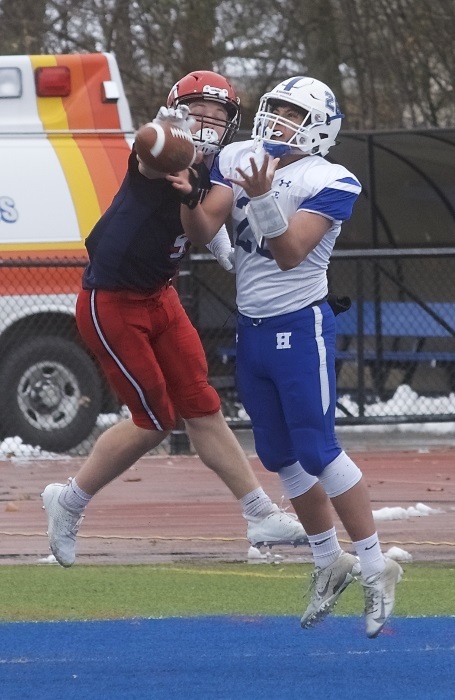 On the team’s third trip of the second half into the Haldane red zone, Moriah’s Maddox Blaise managed to bull the ball into the end zone. He was initially stopped short of the goal line but scored on a second push with 9:01 left in the game. 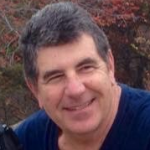 The Blue Devils had two opportunities on offense after that, but their hopes ended when QB Dan Santos completed a pass to Tom Percacciolo, who was headed across midfield toward open ground when he was stripped from behind, with Moriah recovering with 1:32 left. 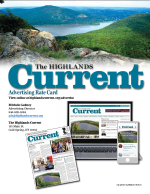 Haldane never got the ball again. Giachinta, who was the focus of a smothering Moriah defense, finished with 80 hard-earned yards on 22 carries. Santos added 22 yards on 10 attempts. Percacciolo also had an interception on defense. Giachinta was named All-Section and All-League for the second time. Will Westerhuis earned All-Conference and All-League honors, and Percacciolo, Brad Dowd, Matt Champlin, Matt Ortiz and John Hankel were named to the All-League team. 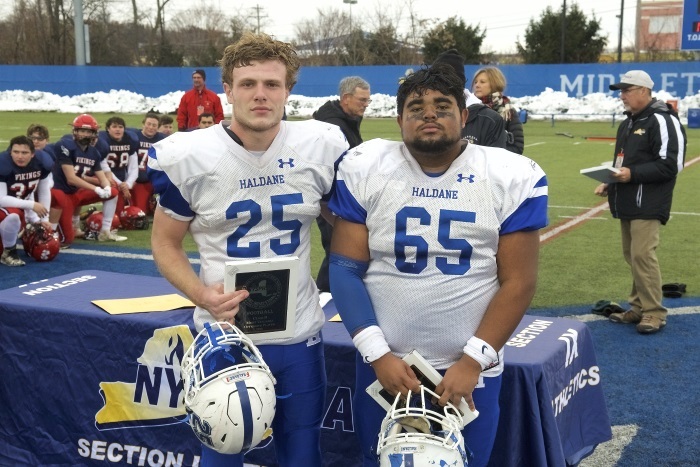 Giachinta was named Most Valuable Offensive Player for Haldane in Sunday’s semifinal, and Ortiz was named Most Valuable Defensive Player for Haldane. McConville was also named the section’s Class C/D Coach of the Year, for the second time (2016 was his first). “I’m proud of it, but it’s about our team, our guys and the work they put in to help us be in position to win games,” he said. Quarterback Dan Santos (15) finds a running lane. Coach Ryan McConville (L) talks to the team during a timeout. 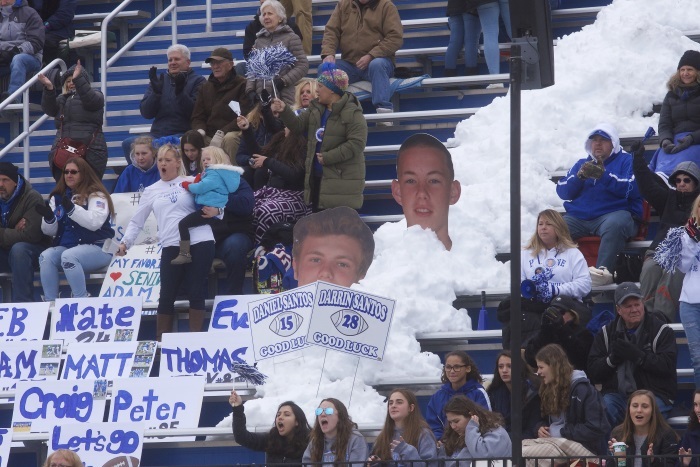 Haldane fans braved the cold to cheer the Blue Devils. Darrin Santos (28) breaks up a pass intended for a Moriah receiver.